After looking up examples of fake news in today’s media, I found it really interesting how many fake news sites there are. The first link lists 176 websites that aren’t to be trusted when it comes to giving us reliable information. And some of them are pretty popular sites I’ve seen before! The second link is to fake political social media accounts, most of which have been created by Russia. I searched a lot of them and many have been deactivated since they’ve been found out. But the fake twitter accounts are really concerning because people in our generation typically look towards social media like twitter to keep up with today’s news. So the fact that that many accounts have been intentionally created to harm the opinions of both political sides is scary. 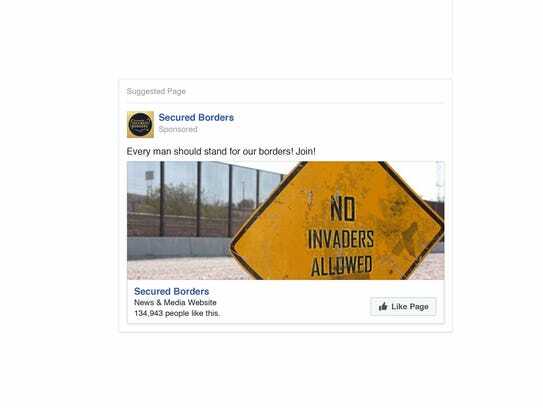 One Facebook account, called “The Heart of Texas,” even called for secession of Texas from the US, which has been proven to have Russian origins. Hug all the diplomats or maybe get everyone “high” on oxytocin if possible by initiating situations where oxytocin is released. People should try to show that they trust the other party instead of trying to show that their party is trustworthy. First, the ted talk about the biological origins of trust was very interesting and eye opening. A potential way that the biological origin of trust could relate to international politics is through our allies. For example, the U.S. I feel is much more open to working with allies in which it has a strong connection to and regards in high esteem. While, other countries that we feel could cause some trouble in the future, we are far more careful with and regard in almost skeptical or guarded viewpoints. Also this idea of trust could be applied to trade and security issues, especially security issues regarding WMDs. After doing more research on oxytocin, I learned that while it is often called the “love drug,” it can cause thoughts in people that aren’t necessarily loving. In a Dutch experiment a few years back, a group of men from varying backgrounds were given one of two nasal sprays- oxytocin or a placebo. They had both groups choose to save the lives of certain people at the expense of someone else’s life just based on a first name, a Dutch name or an ethnic name. They had the men switch two weeks later and take the other nasal spray, and make the choice. The results showed that the majority of the men, when taking the oxytocin nasal spray, were willing to save the men that had the same kind of name as them (John would save James at the expense of Ali, Ahmed would save Ali at the expense of John). This is concerning when you think about international politics and ethnocentrism. Some people are willing to do whatever it takes to help one of people, no matter what will happen to a group that is different from them. Based on the findings discussed in the TED Talk, I would wager that these results play a role in the amount of foreign aid received after a country experiences a disaster. Countries that fall victim to an unfortunate event often release pictures of families negatively impacted by these calamities. While it may be inadvertent or simply a byproduct of media coverage, these images likely elicit an increase in the oxytocin of those who view them, and potentially boost generosity in foreign nations when providing aid. This could also explain reduced interest and sympathy for impacted countries who receive little media coverage, or do not have the means to provide images of disasters and their effects. I found it very interesting how recently all of this information about oxytocin has been discovered. The fact that until only recently it was considered just a “female” drug is crazy given how much brain chemistry it is actually involved in. I think that this information on oxytocin certainly pertains to international politics, especially regarding those countries advertising for aid. Countries that are in despair can release information about what their citizens are going through, and this will release oxytocin in the brains of those who see or hear this information. This can lead to new foreign policy changes to help these countries in need, which is a major impact on the entirety of international politics. Because oxytocin is also highly involved in trust, it is imperative when looking at the relationships between countries and how they react to each other’s political moves. Based on the TED talk, I found that trust is much underrated tool for people take advantage when in need of a resource or above else trust from others. Dating back to the Cold War, trust was a tool that was almost nonexistent between the U.S.A. and U.S.S.R. . Utilizing spy-planes and secret agents completely represented how each country would not have done any means to rust the enemy. More interestingly, though, Paul Zak connected by how oxytocin with feelings such as trust and morality through the way people can empathize with each other. With a greater availability of oxytocin in the system, the greater the connection between people, and a more prosperous country. Needless to say that the U.S. has been polarized through these articles of “fake news,” but the U.S. has showed prime examples, along with other countries in these events, would have been a collective rise in oxytocin in times of war or tragedy that struck the country as a whole. With this new evidence of how oxytocin almost serves as the root cause for trust and morality is an interesting prospect in my idea that these hormone-changes can be taken advantage of by others for their gains. After watching the TED talk and discussing trust in class yesterday, I think that it is important that government officials understand the importance of creating trust pathways in early childhood. I had never heard about how nutrition and relationships early in life actually shape the neural pathways in the brain that release oxytocin and how severe the effects of that can be and I think that education regarding these issues could be beneficial in reducing international and internal conflicts. I also think that it would be interesting to conduct experiments similar to the ultimatum experiment where the stakes are raised and see how that effects people’s actions, where the action of giving is a more drastic cost to the giver than a $10 bill. The TED talk was very interesting the the connection of oxytocin as first the closest possibility to the moral gene then its transfer in Zak’s studies as the trustworthiness gene emphasizes just how difficult the idea of morality is. It is understandable that women who have been sexually abused trust less than other people but the explanation being a lack of oxytocin release offers a scientific explanation. Trust is personal but I believe that is a large part of the international community and the effects of high and low levels of oxytocin in the brain and blood as a pattern should be considered when making decisions between countries. The difference between men and women as far as oxytocin release through testosterone is also a very interesting point that I believe has played and will continue to play some role in decision making and trust among countries that are run by men.